And it’s also a golden opportunity for YOU, Mr./Mrs. real estate agent, to help these folks fulfill some of their lifelong dreams! 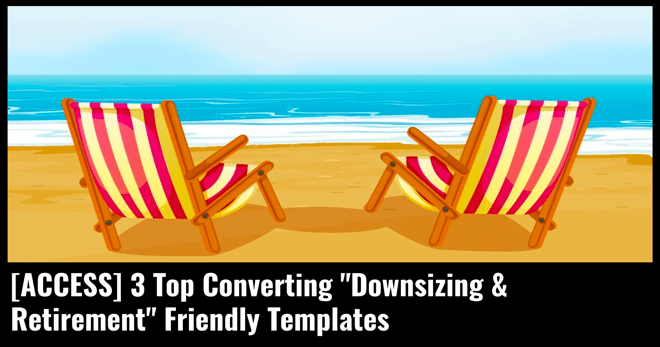 Whether it’s to finally settle on that long awaited vacation home along the lake, or to completely simplify life, you’ve got options to connect with your ideal client. And today I’m going to break down 3 specific ideas that have been tested in many different markets with VERY favorable results, to help provide you with some extra inspiration. Here’s an offer that can be used universally, regardless of what market you’re in. 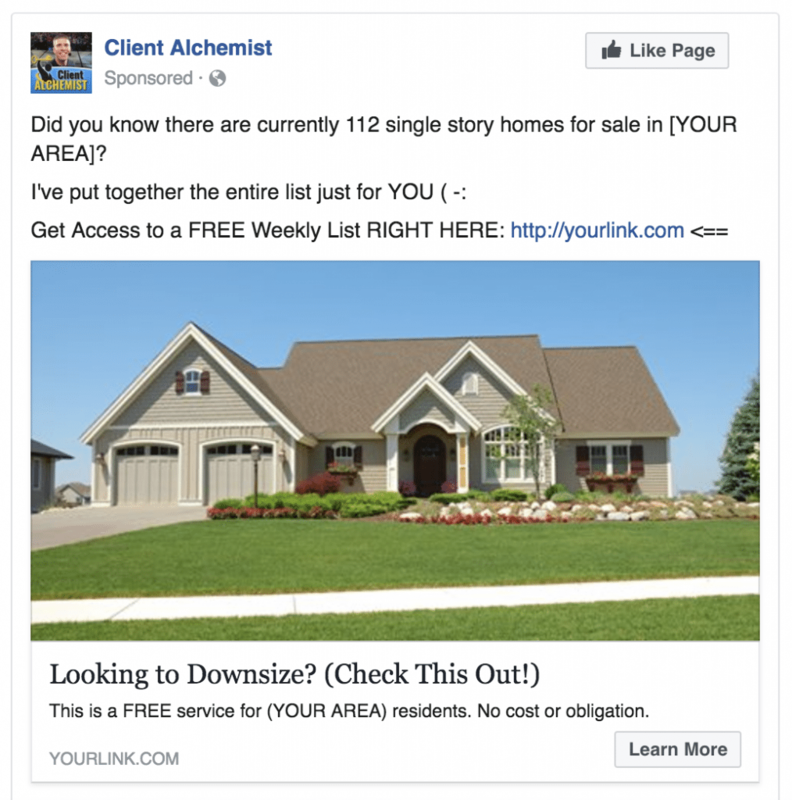 This is an ideal way to call out to your audience and give them exactly what they want IMMEDIATELY (instead of wasting hours on ZILLOW). Now, keep in mind that there are also multiple ways you can position this. 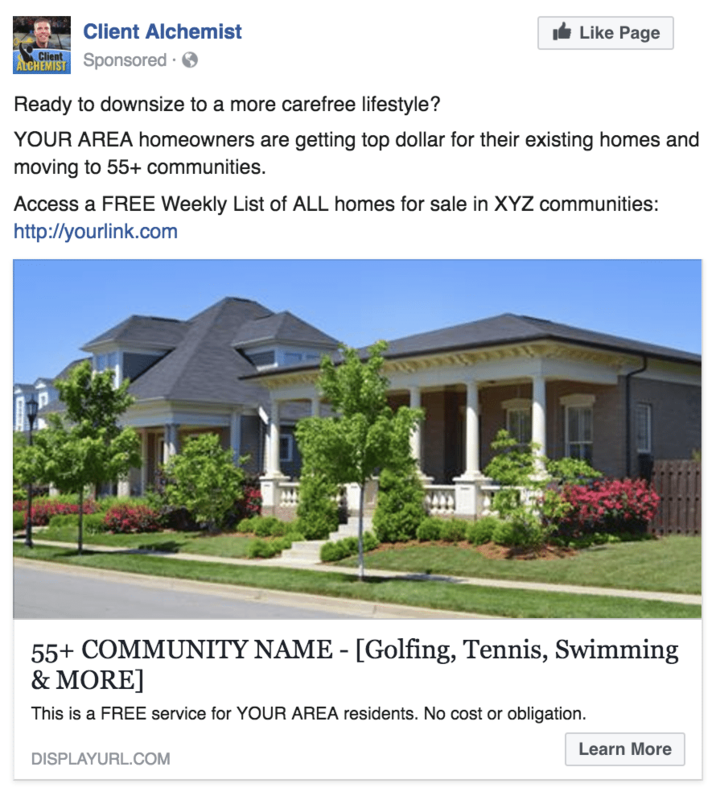 You could do a Free list of all ranch style homes…Or you could call out a specific segment such as, “brick style ranches,” “ranches with basements,” “ranches with pools,” etc. The more specific you get…often the better (as long as there is a DESIRE for it). I’ve lumped together two different niches, because they can often go hand-in-hand. PLUS, both types of offers are focused on LIFESTYLE. With that said you could use both at the same time, or just choose one niche to build your list around. As for waterfront, you could focus in on lakefront, oceanfront, or even riverside. 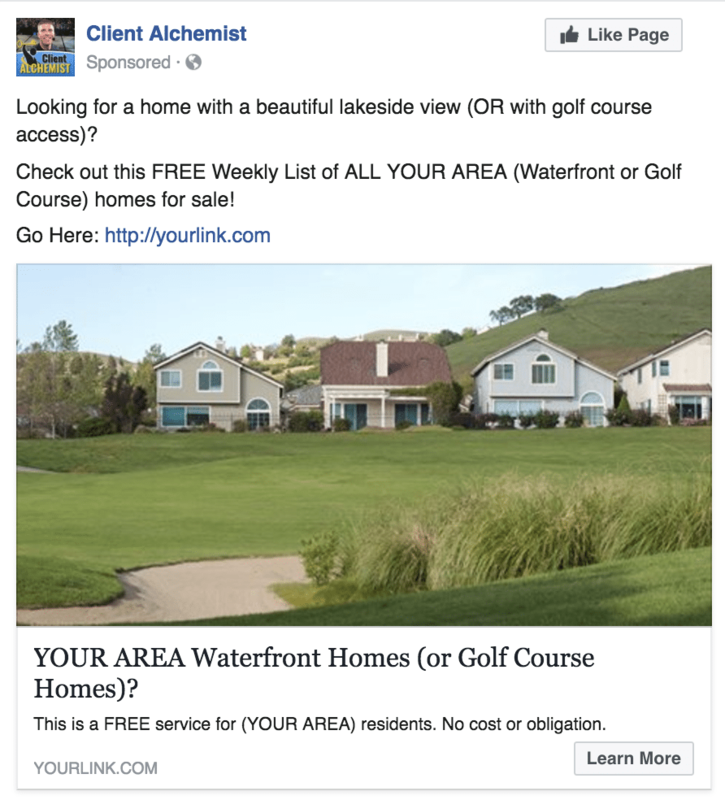 Additionally, when choosing your targeting in Facebook you could even hone in on people who like boating or fishing for interests. Others who have used the golf course offer before have leveraged this strategy to focus in on one specific golf community, as well as ALL golf courses within a specific area. Both can work great, but keep in mind that the best performing ads are typically city focused, so don’t go too broad. This is an ideal offer for those of you who like to specialize in 55+ communities. When it comes to Facebook marketing, you could target by age, interests, income, location etc., so you’ll be much more likely to get in front of your target market. 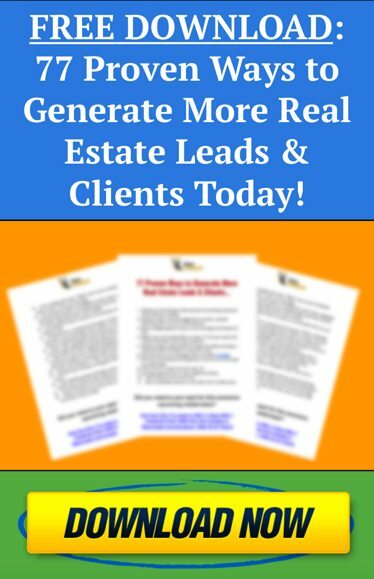 Additionally, you may be able to even run ads out of state (or city limits), if a HIGH percentage of buyers come from a particular location. Just be sure to keep an eye on cost per lead to ensure this idea will work for you. If so, then you’re going to REALLY enjoy our FREE upcoming masterclass that covers our 5 HIGHEST converting Facebook templates (so you can swipe IMMEDIATELY to build a predictable and scalable business). ==> GO HERE to reserve your spot NOW.